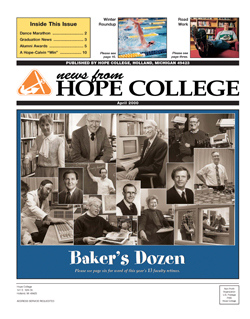 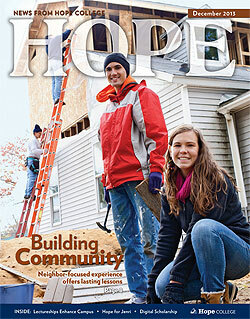 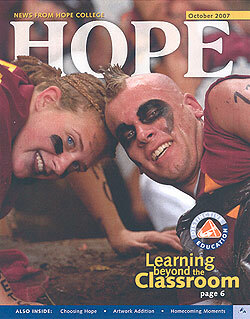 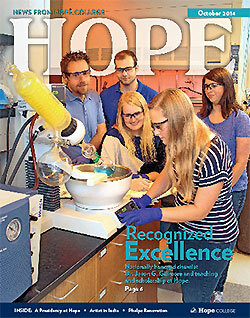 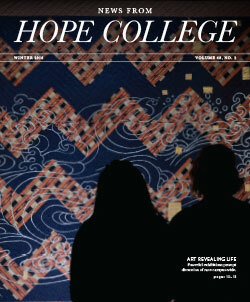 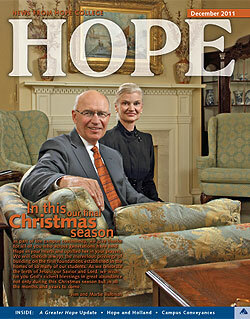 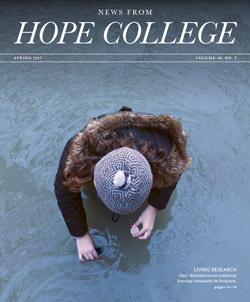 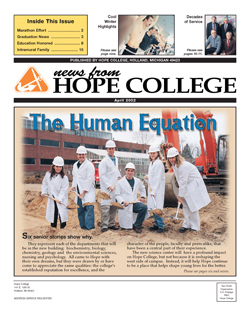 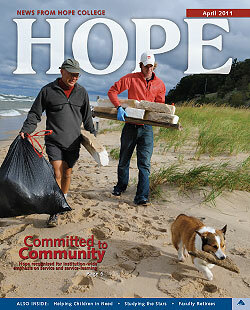 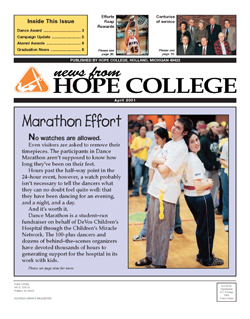 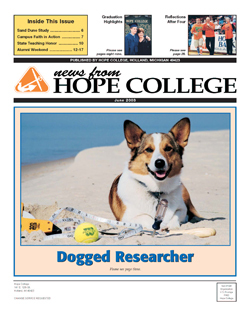 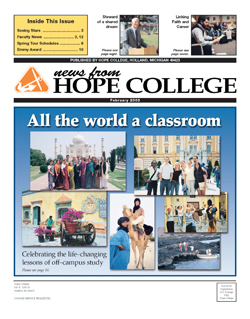 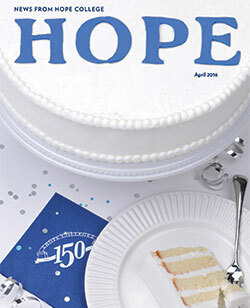 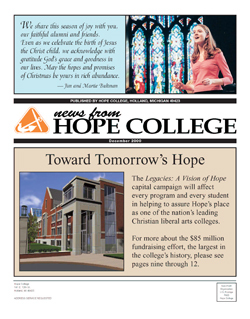 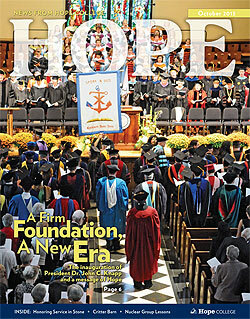 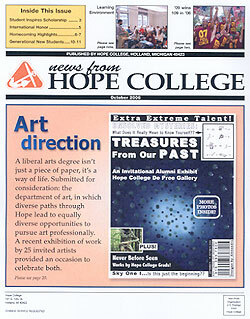 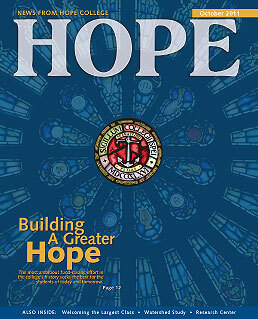 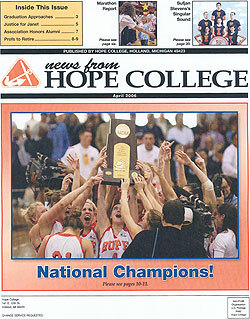 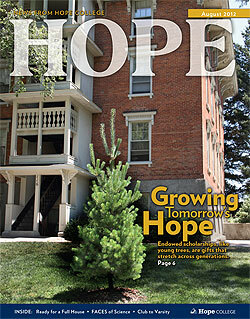 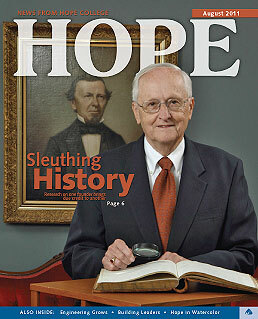 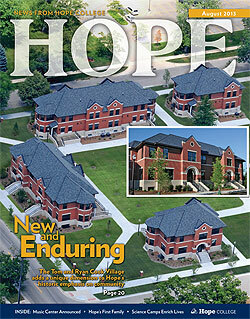 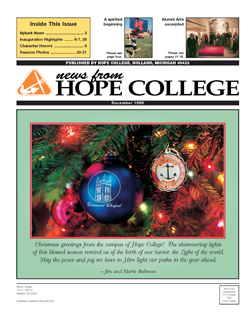 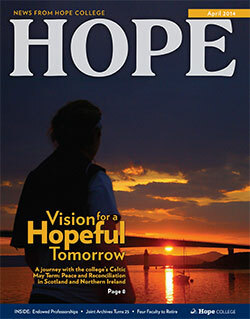 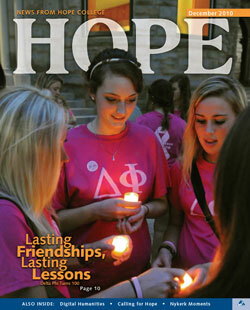 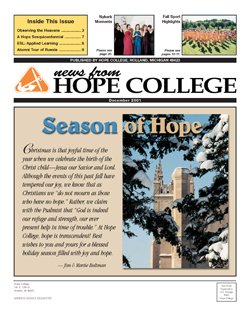 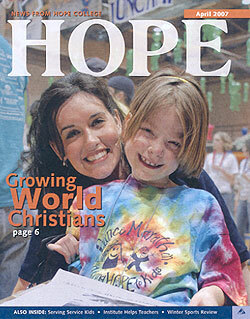 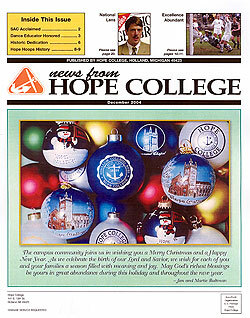 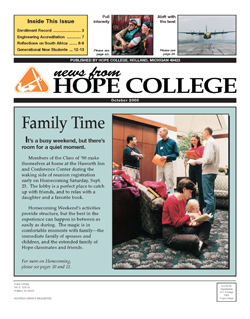 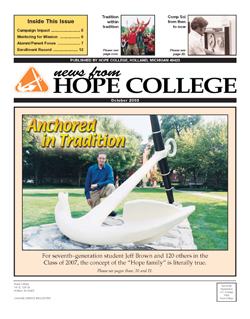 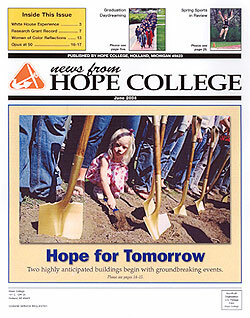 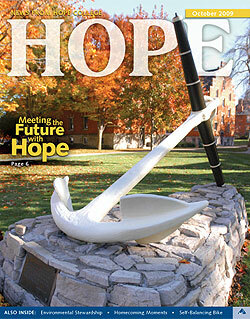 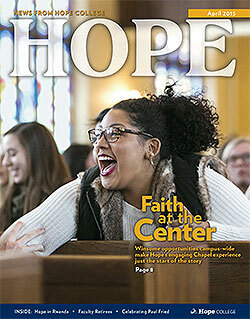 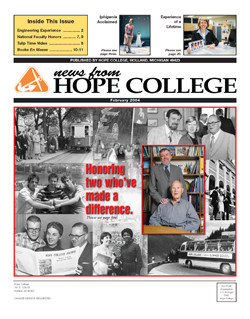 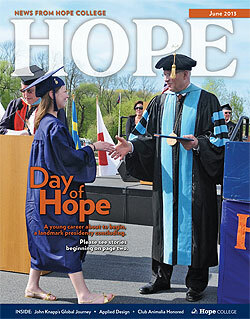 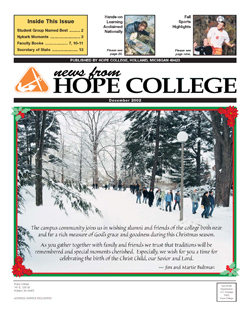 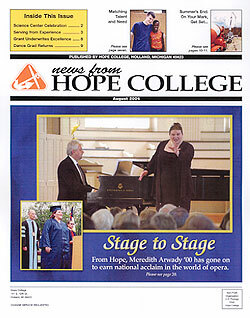 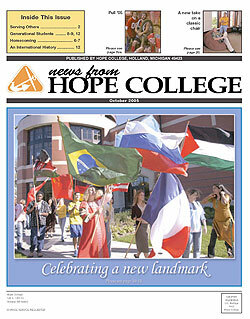 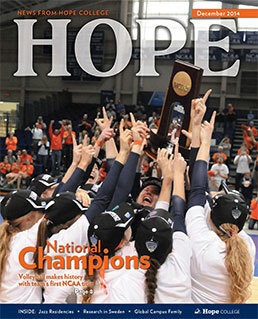 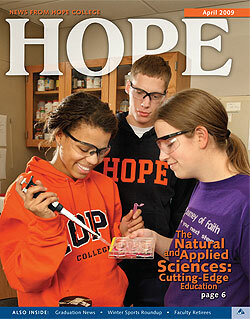 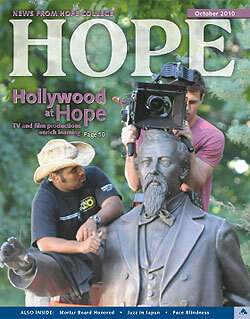 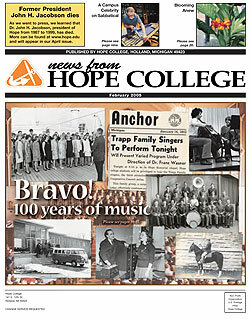 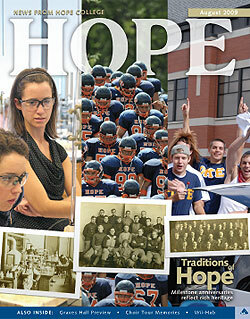 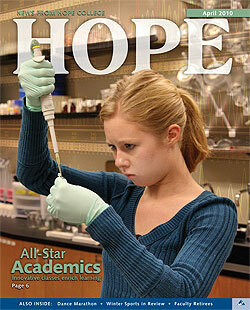 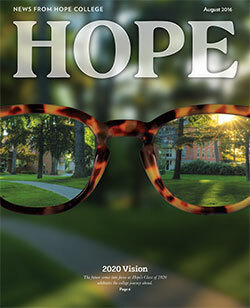 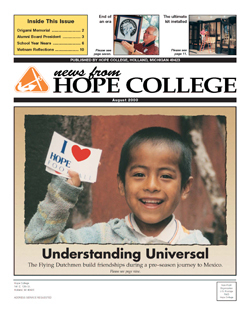 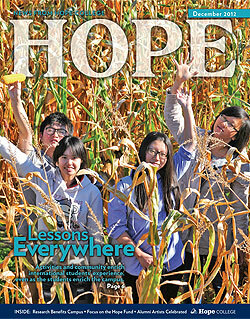 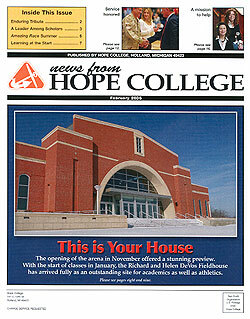 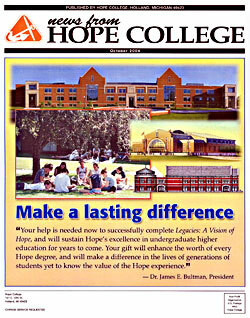 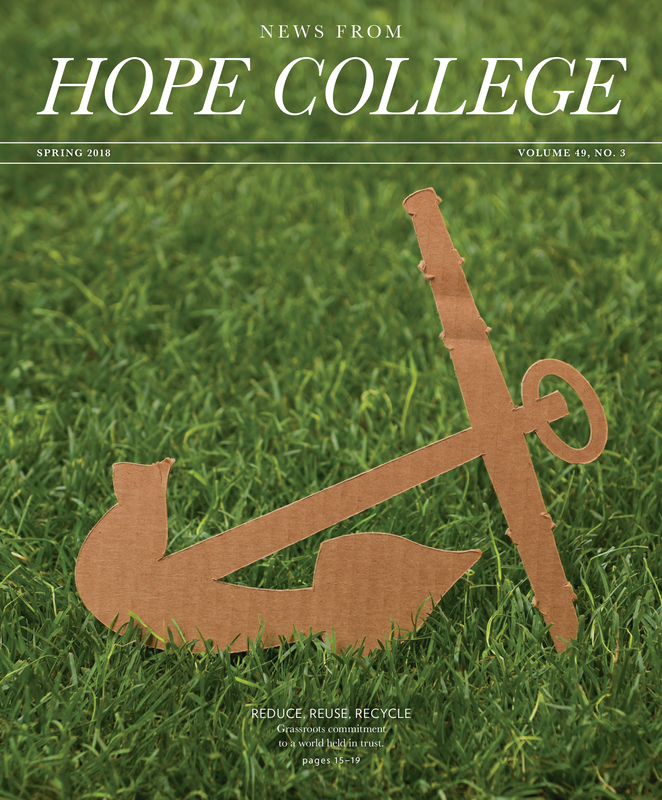 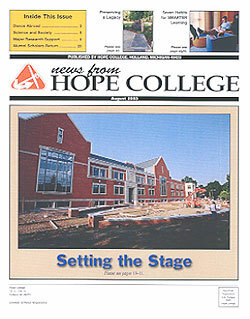 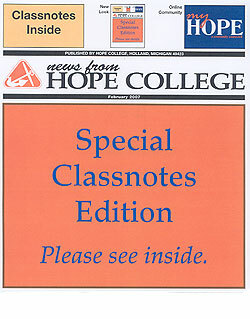 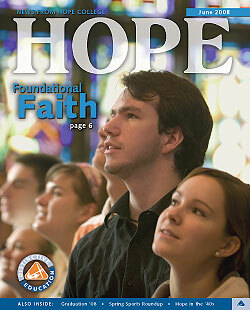 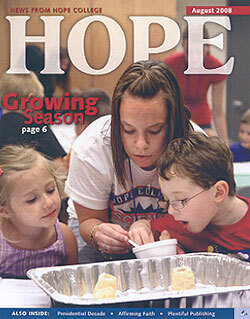 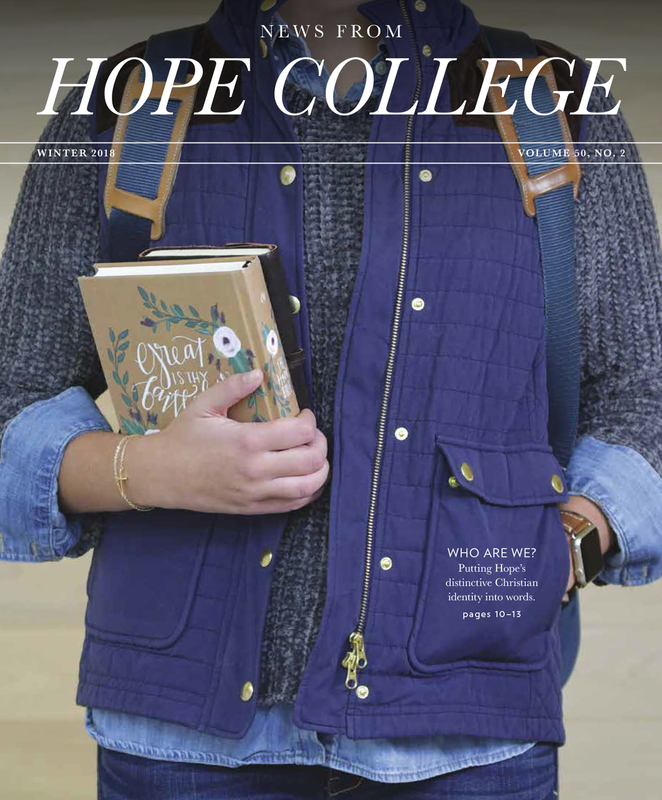 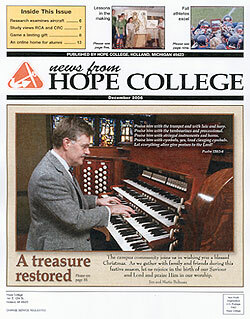 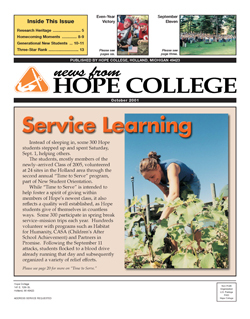 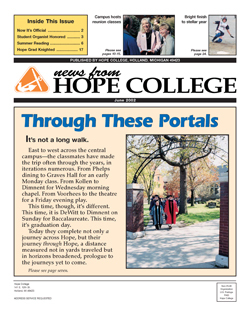 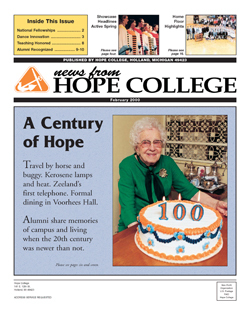 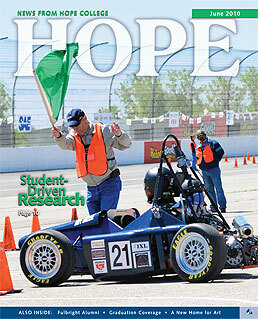 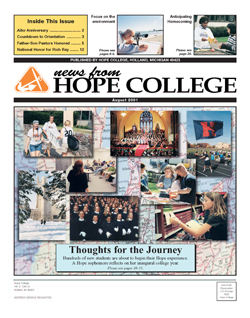 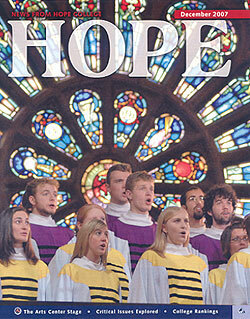 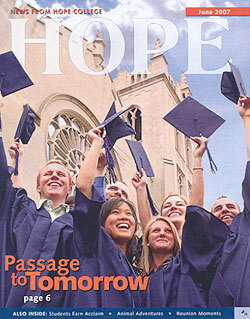 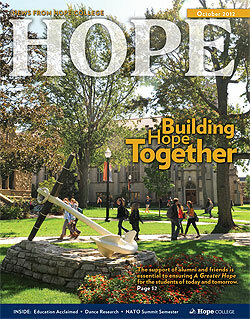 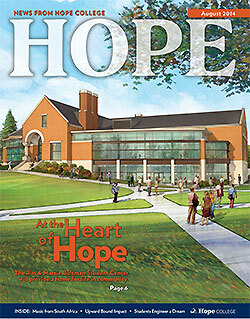 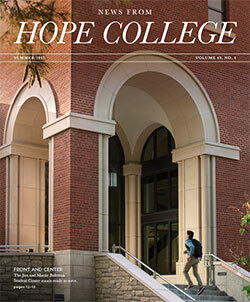 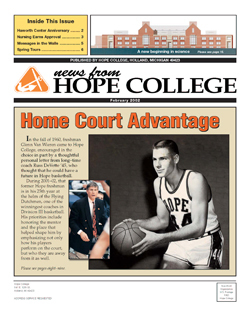 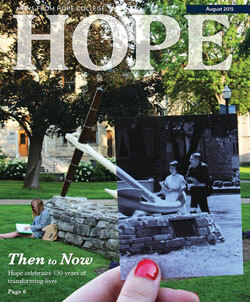 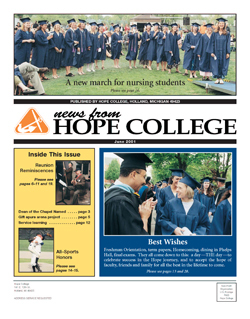 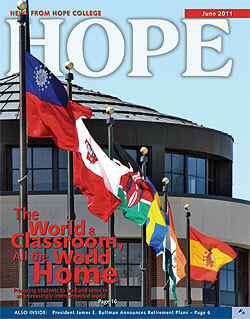 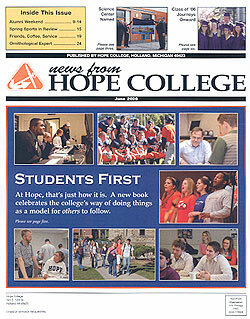 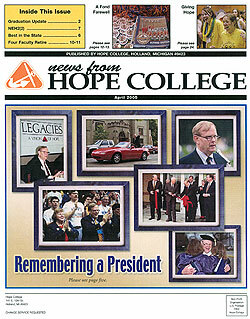 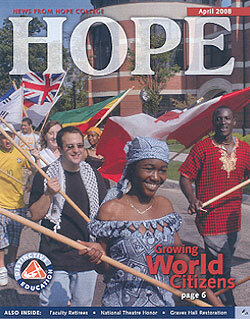 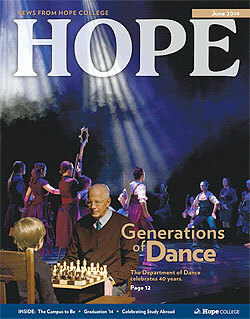 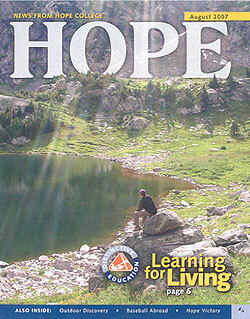 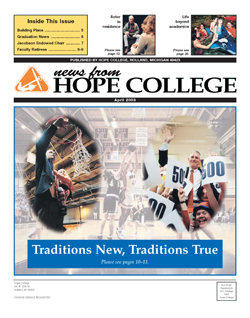 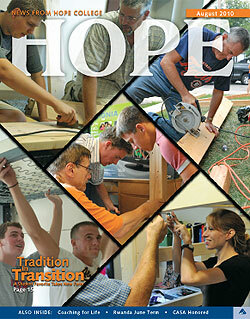 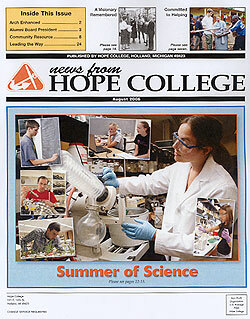 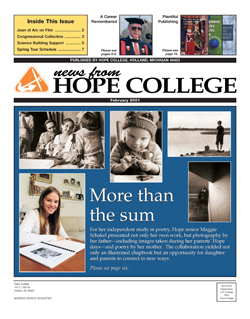 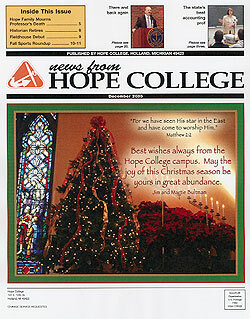 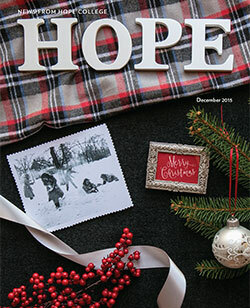 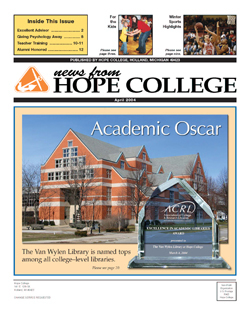 So, here we are, nearing the end of both another academic year and my two-year tenure as Hope’s president. 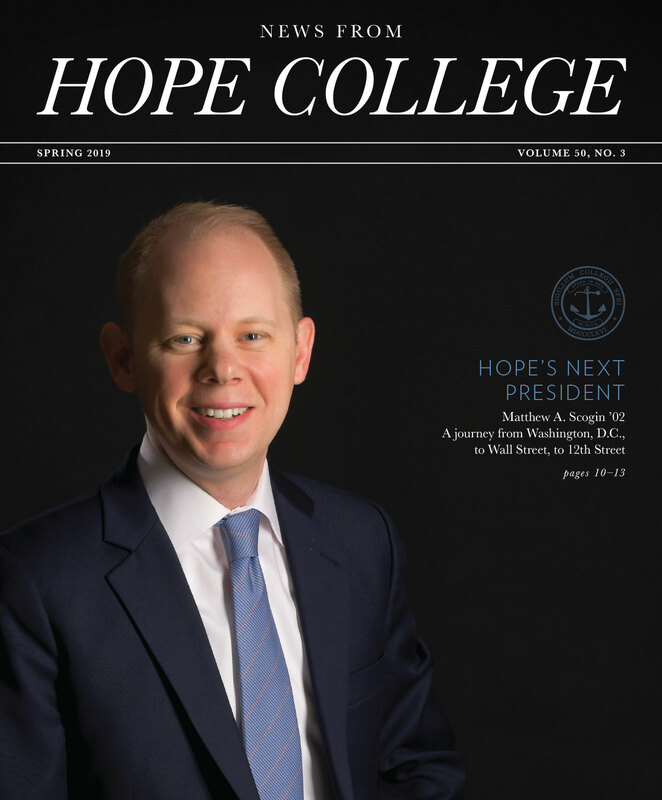 As you have already seen on the cover, this issue highlights my successor, Matthew A. Scogin ’02, who will take office this summer. 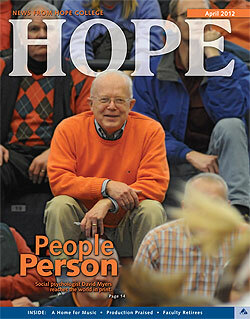 I have enjoyed getting to know Matt, and I am certain that you will, too. 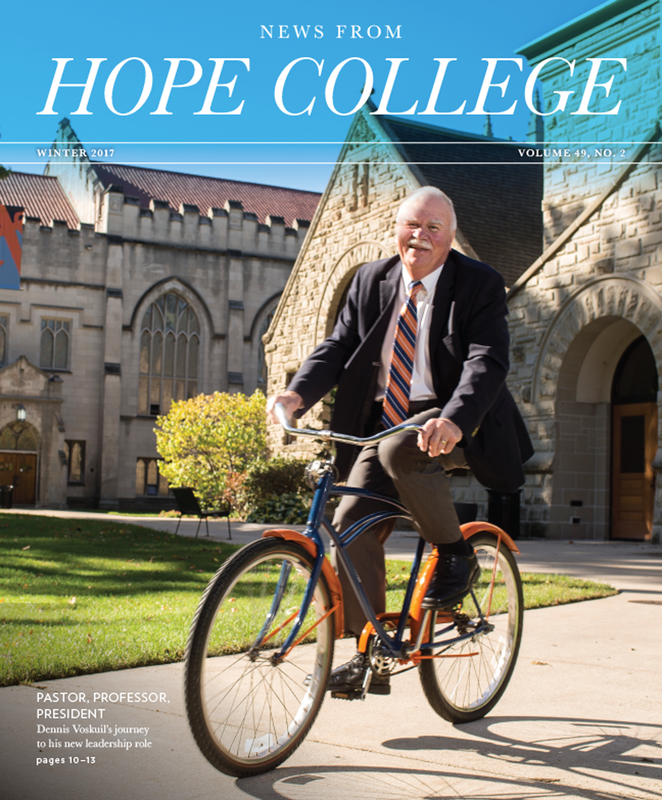 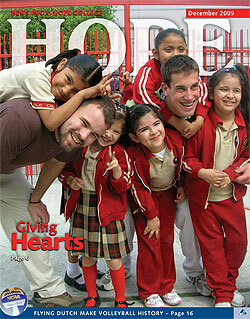 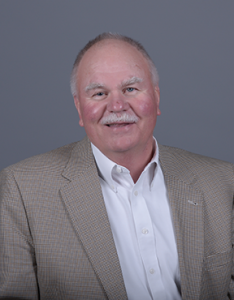 He has deep love for Hope, whole-hearted dedication to working with the entire Hope community to sustain and build an even stronger Hope, and unique and significant leadership experience outside of higher education that will serve the college well. 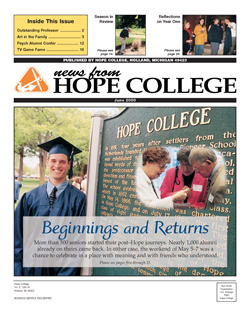 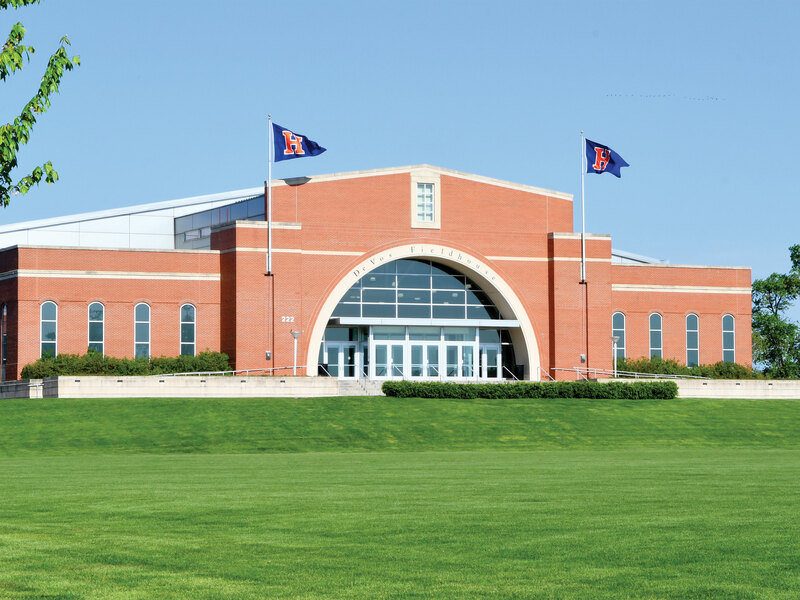 This issue’s introduction to Matt is just the first of multiple stories highlighting alumni who have connected to their alma mater in a variety of ways. 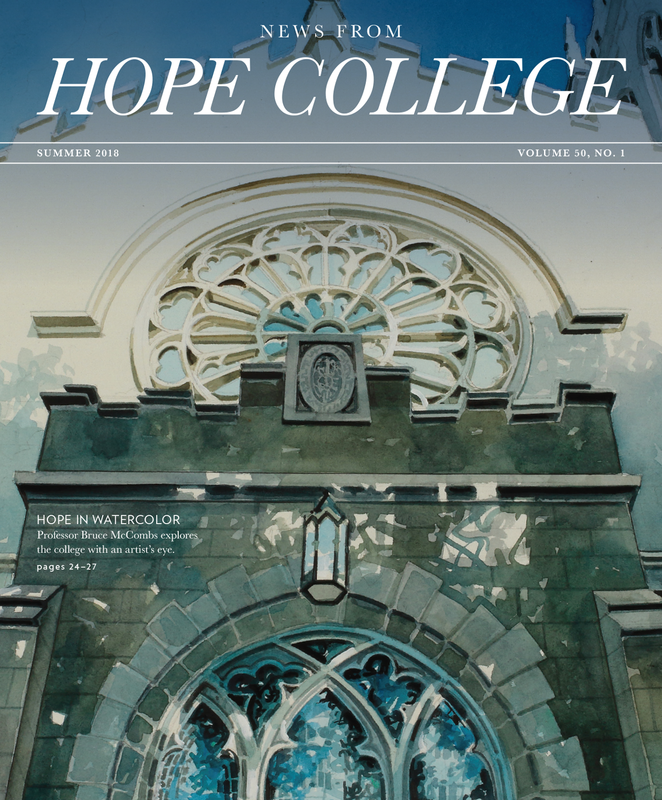 You’ll also meet Mpine Qakisa ’90 Makoe, who returned and spoke of student activism in her homeland of South Africa; Kathy Button ’78 Beauregard, Brett Bouma ’86, John Moolenaar ’83 and Lyn Curley ’87 Walker, who have all been mentoring current students or recent graduates; author Matthew Baker ’08, who met with students and read from his work through our Jack Ridl Visiting Writers Series earlier this year; and, as a historical reflection, A.J. 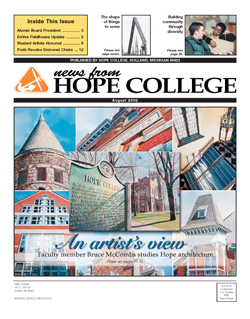 Muste, the 1905 graduate and often-controversial peace activist who is remembered at Hope through a lecture series, a study alcove and, as of this fall, a commissioned bust. 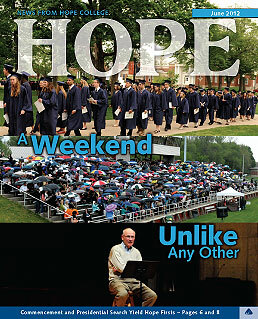 If there is a theme uniting all of those stories, it is surely commitment beyond self. 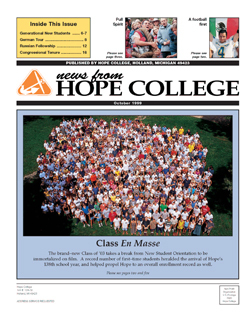 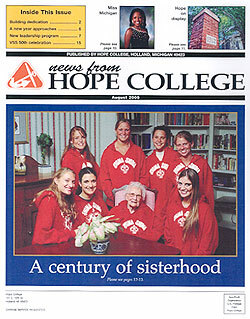 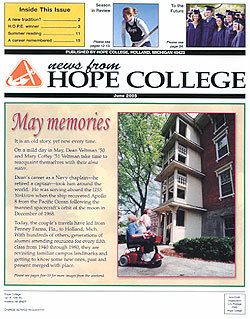 It’s an ideal well reflected, also, by this year’s nine retiring faculty, who have given a combined 280 years of service to Hope students; and in the college’s Phelps Scholars Program, which both engages students with the promise and challenges of our diverse world, and offers community within the Hope community. 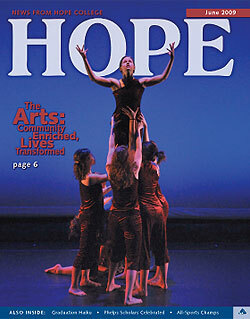 And it is, of course, embodied by so many others, some of whom will no doubt be featured in these pages in the future. 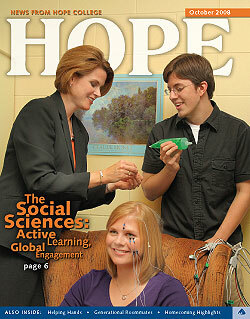 Betty and I will continue to enjoy learning about them — about you — in the years ahead.